First round of rolling applications open until May 15th, 2019! An executive education course for established leaders run in partnership with the UPEACE Centre for Executive Education. 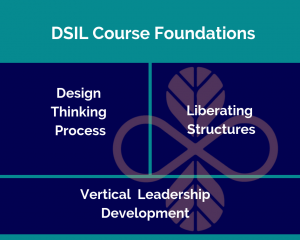 The unique design of the DSIL Course begins with an intensive 8-day field immersion in Southeast Asia where we focus on learning well. The following months invite the close-knit cohort to jump on live classrooms with thought leaders around the world and keep connecting with each other while they practice the new skills where they work and live; turning new skills to habits. The entire course is supported by Berkeley University accredited professional coaches to individualize the program and meet people where ever they are on their personal development journey. The DSIL lead team is what separates this course from all others, the stories and well of knowledge they pour into our questions makes me feel like I advanced my career 8 years in 8 days. I know they will continue to pass me tools as well. 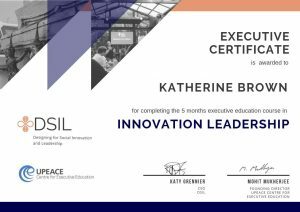 I already had a strong background in corporate design and innovation when I joined the DSIL Course, but it is not only a high-value innovation training – it is something much more. The course was a life-changing challenge that broadened my perspectives on self and systems and provided lifelong relationships with peers. Why learn from case-studies when you can experience innovation? Learn the details of the course! innovation tools and skills, and a vertical depth of awareness and EQ! Explore more about what each day looks like here! How to increase your emotional intelligence (which is 3x more hirable than any hard skill) leading you to better understand who you are. Learn more about what’s covered in the unique course design by clicking here! The course is suited to established leaders with the ability to make decisions that will create change within their team, organization, and industry. Past cohorts have included CEOs, Founders, Regional Directors, Senior Management, Executives, Team Leaders, and Consultants who work for the world’s best agencies. It is important to note, that we accept individuals on a case by case basis and have a deep understanding that age or years of experience is not a defining characteristic of a great leader. Completing the DSIL Innovation and Leadership Course will lead to a UPEACE Centre for Executive Education certificate. By completing the course, you are also 20% there to a Diploma in Social Innovation! Continue building skills or receiving a mentor-style program that allows you to work on plans for the future. You will also receive a discounted price for the remainder of the program. Through the CEE Diploma, you can continue to be part of our global network, receive feedback and coaching from a great network of professors, and, of course, develop innovation projects. Join Alumni from over 60+ countries from the social impact, private and government sectors. Explore the 200+ DSIL Alumni! Schedule a virtual coffee with the DSIL team today! Chat to DSIL to see if the course is a match for you. Email the team to have a chat, or get connected to one of their global alumni! A 15-minute call goes a long way. 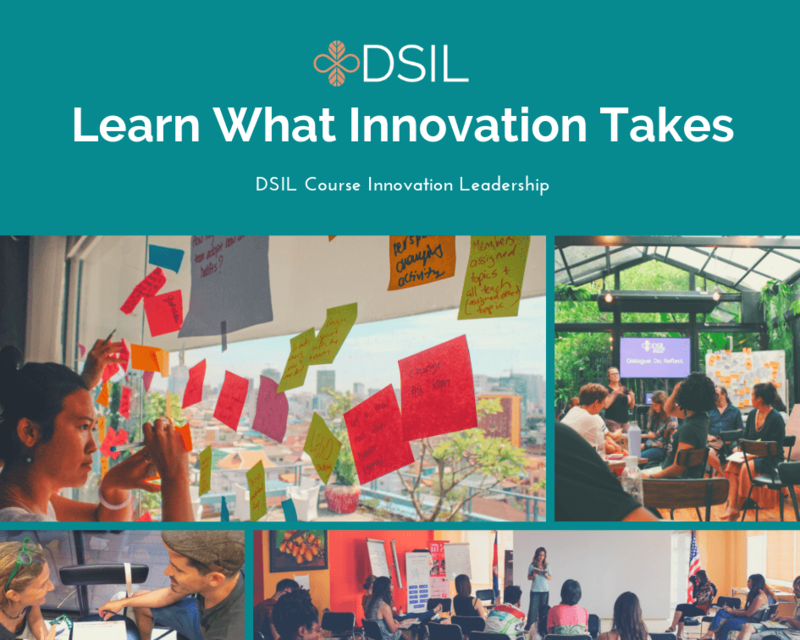 You can also stay connected with DSIL or learn more about the DSIL Innovation and Leadership Course on their website or by following them on Facebook, Linkedin or Twitter.